Area of work: Litigation (Mainly Co-op. Societies and Family Law at Supreme and High Courts). 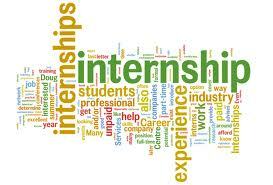 Timings: 09:00 A.M. – 8:00 P.M.
Duration/timings: Duration of internship was 6 weeks. Work environment, people: The work environment was intern-friendly. Co-interns were very friendly and helpful. Mr. Munjal was very helpful and guided me well. I enjoyed being treated as a colleague & not just as summer intern. Interning with a senior advocate, one can hone their argumentation skills even more so as he is in this field for the past 45 years. Recommendation (a rating of the overall experience): 5/5. The work is brilliant. The location of the office is easily accessible. All the associates are friendly and helpful. I was given legal research work, learnt court procedures, case observations and polished my drafting sills as well. Transportation facility was made available to me as well.